The central hub of the IAU activities for the IYA2009 is the Secretariat. This was established to coordinate activities during the planning, execution and evaluation of the Year. The Secretariat will liaise continuously with the National Nodes, Task Groups, Partners and Organisational Associates, the media and the general public to ensure the progress of IYA2009 at all levels. To assure the correct implementation of the IYA2009 vision, goals and objectives. To plan, execute, coordinate and evaluate the global IYA2009 activities, projects and events. To liaise continuously with the Single Points of Contacts, Task Groups, Official Partners, Sponsors, Associates, Media Partners and Event Sponsors to ensure the progress of IYA2009 at all levels. To serve the astronomy community, media and society with respect to all global IYA2009 issues. Pedro coordinates the implementation of IYA2009 globally. He is the first point of contact for international matters concerning IYA2009. Pedro supports external requests from Single Points of Contact, journalists, scientists and the general public, prepares generic and event-related outreach material and interfaces with the hundreds of national and organisational IYA2009 nodes. He obtained his university degree in applied mathematics/physics/astronomy and his Master's Degree in geophysics from the University of Porto, Portugal. Before assuming his current position, as IAU Coordinator for IYA2009, he spent one year and half working with data from the Venus Monitoring Camera onboard ESA's Venus Express. In the meanwhile Pedro has been working with different international organisations, like Europlanet (European Planetology Network), IAU Commission 55: Communicating Astronomy with the Public, EGU Earth and Space Science Informatics Division and IAF Science and Society Committee. 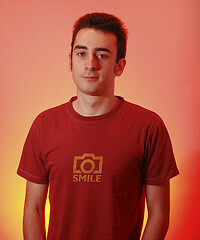 He is the Editor-in-Chief of the Communicating Astronomy with the Public journal. Mariana supports the planning, coordination, preparation, implementation and revision of the International Year of Astronomy 2009 and other joint programming processes. She obtained degrees in International Relations (University Fernando Pessoa, Portugal) and Cooperation and Managemanet of non-profit organizations (ISAG, Portugal) and a Master's Degree in Communicating Science (University of Glamorgan, UK). Before assuming her current position, she worked as assistant manager for Navegar Foundation in Portugal and was involved in several space science projects in Europe. Lee is a science communicator from the United Kingdom. He specialises in science writing and designing / implementing outreach projects. Examples of recent work include writing articles for NASA's web-magazine and Space.com, directing the first science festival to be held in the Welsh Valleys and lecturing undergraduate science communication students. In addition, he is the Coordinator and Editor of the International Year of Astronomy 2009 Cornerstone project "Cosmic Diary". His personal webpage can be viewed here. Lars manages the IYA2009 Secretariat, i.e. oversees the strategy of the project, the budget (including fundraising) and ensures a smooth daily workflow. Lars is a science communication specialist heading the Hubble European Space Agency Information Centre group and the IAU Press Office in Munich, Germany. There, he is responsible for public outreach and education for the NASA/ESA Hubble Space Telescope in Europe and for the IAU Press Office global activities. 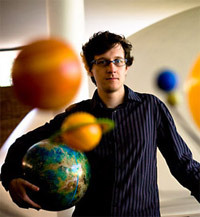 He obtained his Master's Degree in physics and astronomy from the University of Copenhagen, Denmark. Before assuming his current position, he spent a decade working as a science communicator and technical specialist for Tycho Brahe Planetarium in Copenhagen.